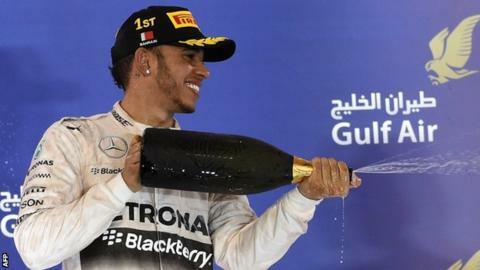 Lewis Hamilton is still the richest sportsman in Britain with a fortune of £88m but Wayne Rooney has overtaken Jenson Button to sit second in the 2015 Sunday Times Sport Rich List. Formula 1 champion Hamilton, 30, lives as a tax exile in Monaco and his wealth has increased by £20m since last year. Manchester United and England captain Rooney's overall wealth is up by £12m to £72m, £1m ahead of F1 driver Button. Tennis player Andy Murray is now fourth with amassed earnings valued at £48m. The 27-year-old Scot, who was a 2015 Australian Open finalist, overtook QPR defender Rio Ferdinand, whose earnings total £44m. Next is Liverpool captain Steven Gerrard, who is valued at £42m and will leave Merseyside to join LA Galaxy at the end of the season. Rooney, 29, is set to join former Manchester United midfielder and ex-England captain David Beckham as the only British footballer to amass a fortune of more than £100m. In seventh, basketballer Luol Deng, 30, is the highest-placed Briton based in the United States. Chelsea manager Jose Mourinho is the richest manager in Britain with a fortune of £40m, £2m ahead of Arsenal boss Arsene Wenger, who he faces on Sunday in the Premier League. Northern Irish golfer Rory McIlroy, 25, has amassed £10m in the last year after success in the Open Championship and the US PGA Championship to also take his earnings to £38m. He is tied in 10th with Wenger, Manchester United assistant manager Ryan Giggs and veteran golfer Sir Nick Faldo.